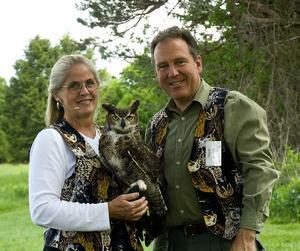 Both are passionate about birds to the point of housing some eighteen owls on their property. Some of these birds live over fifty years so it is indeed a lifelong commitment. It’s a heavy financial commitment as well with each bird getting their own aviary (at a cost of some $4000 per aviary) plus fresh rodents daily for their diet. 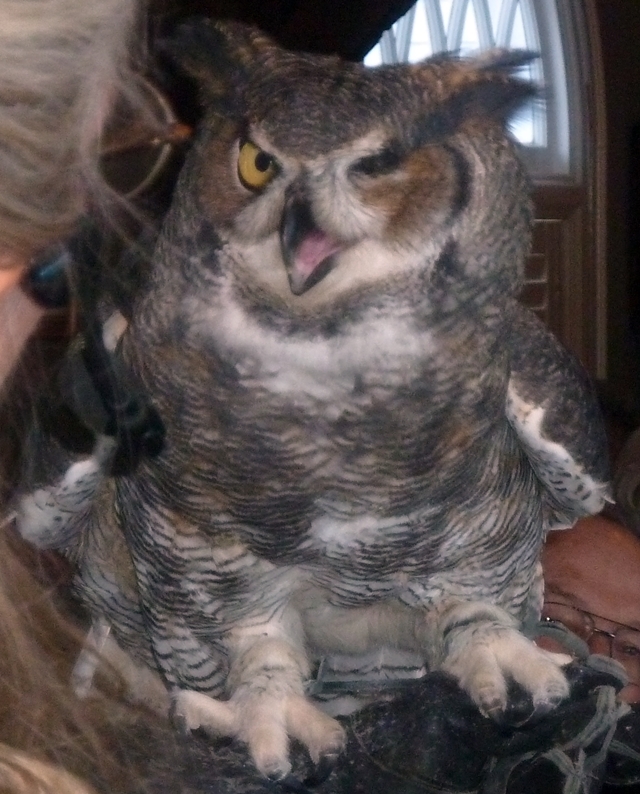 Each owl adopted by the Wilsons has some kind of disability, whether it be a missing eye or broken or missing wing (often times these injuries are due to the birds being struck by cars as they hunt along the roadside); some were hatched in captivity and therefore had to remain in the care of humans. The Wilsons provided an entertaining and educational hour, showing stunning photographs Mark had taken during their owl expeditions (including an owl coughing up a pellet!) 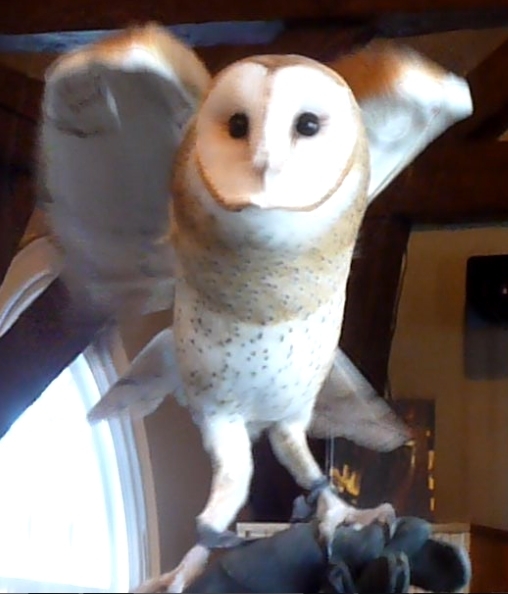 while Marcia demonstrates her skill at owl hooting. 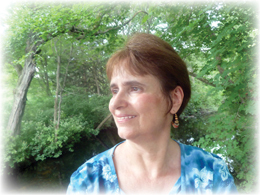 I learned a lot about how to hunt down owls as they are hard to see (such as looking for “white wash,” aka bird poop, spotting pellets on the ground and noting ridges in the tall grass indicating rodent trails). We are fortunate to have people like Marcia and Mark Wilson dedicate their lives to the care of these creatures and the educating of the public about them. 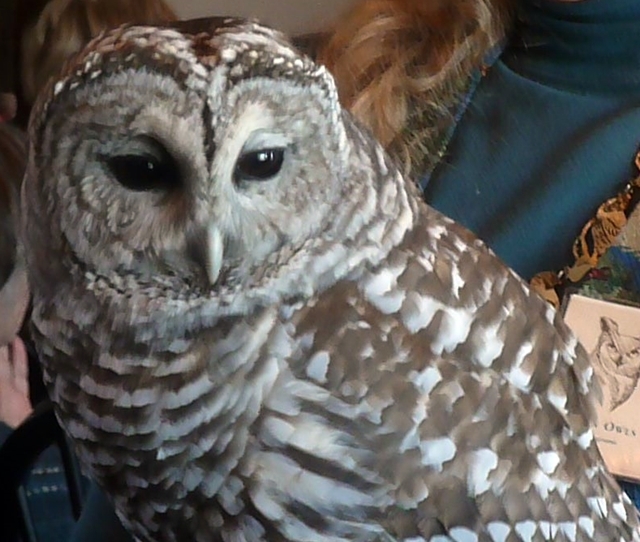 Have you ever spotted an owl? Have you ever seen an owl in the wild? 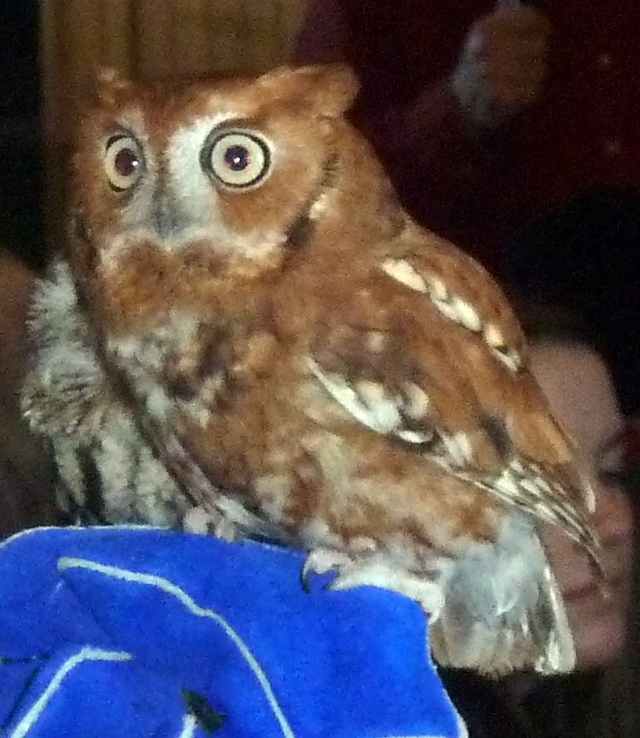 I was fortunate enough to see a grey screech owl tucked inside a hole in a tree (super cute!) and I also saw a nest full of baby Great Horned Owls. I also spotted the white wash Mark spoke about on a massive fur tree with the Great Horned Owl at the top. I saw these owls at Mount Auburn Cemetery in Cambridge, MA so if you live in the area and want to see owls, be sure and visit this grand and historic cemetery during birding season in the spring. Tell us about your owl sightings! Previous Merry Christmas from Be As One!